Are you utilizing your Bag Leak Detection System proactively and efficiently? Dust detection or Bag Leak Detection Systems have been viewed in the past as more a reactive compliance tool that provides detection to the onset of a bag leak as opposed to one which offers additional business value and can affect the bottom line. While this reactive approach allows companies to adhere to compliance regulations, there is a cost associated – inherently plant downtime will occur whether it be simple production interruption or a catastrophic event. So, as Bag Leak Detection Systems have evolved, it is now important to evaluate and make a decision as part of an overall approach, one that will minimize potential reportable events, AND also allow you to gain value from a production and operational standpoint. In order to ensure that you will have a Bag Leak Detection Solution that you can trust and that is best suited for you, it is helpful to consider the following to ensure best proactive approach. Find a Bag Leak Detection System that monitors the complete 100% of the tribolectric signal. Triboelectric units are now manufactured and sold using both the DC and AC portion of the triboelectric signal – this allows for more robust, reliable, and accurate monitoring even in harsh electrically noisy environments. Think of an ESP, triboelectric technology previously had difficulty providing a reliable signal in this environment, however, DC/ AC units utilizing 100% of the triboelectric signal can have this kind of success. This is vastly different from older and less stable DC or AC only units which can measure only a portion of the triboelectric signal. Always measure with, and demand a unit that uses 100% of the triboelectric signal. 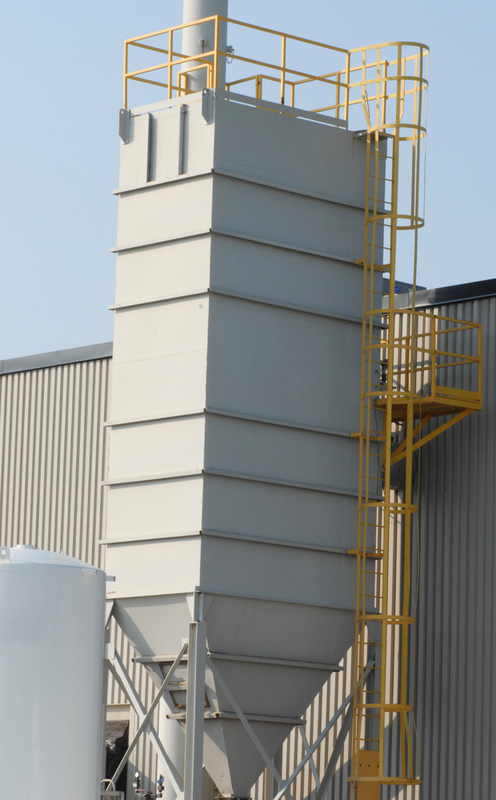 Using the right system for your plant properly should enable better data acquisition and use of valuable predictive information from your Dust Collection Systems which can be used to help schedule baghouse maintenance. This can help you avoid downtime which (dependent on application and plant) will range from somewhat costly…to extremely costly. By adopting a predictive approach you will ultimaltey avoid costly plant shutdowns and production stoppage with the appropriate BLDS. Consider an open architecture system with software specific to reporting, so that data can be shared and merged into your general data management system. Many engineers that deal with environmental compliance and reporting want their own task specific reporting tool, but also find value in integrating this into other data information systems. Use the BLDS to better determine periodic maintenance scheduling of your baghouses, for example: bag change outs. Instead of replacing bags on a set time basis (18 months for example can be typical timeline for maintenance to replace bags), let your BLDS provide the assurance needed to prolong the change out. Wait until the system indicates an early detection warning - then think about replacing bags. This will extend your bag lifecycle and offset the cost of your BLDS. Use monitoring devices that offer ‘Smart’ Sensors which have a means to automatically self-check the probe for false signals. You don’t want your maintenance team responding to signals which prove to be probe errors on a regular basis! Save frustration and time. Ultimately, this decision can cause a shift from one of reaction in nature (which will likely result in additional cost and maintenance as events occur) to one of being proactive in nature. If you are interested in keeping your plant in compliance specifc to dust detection and rules that apply, and want to learn more about how to do it while positively affecting other areas of your plant's business, the eBook 15 Tips for Selecting the Best Bag Leak Detection will be valuable to you as take your next decision making journey.